QCOSTARICA (AFP) – Spanish authorities seized 300 kilos of cocaine worth US$11 million dollars (10 million euros) from a container loaded with pureed bananas that arrived from Costa Rica, the government tax office said Thursday. Police and customs officers found the cocaine on Monday in the Mediterranean port of Valencia, Spain’s second busiest port, a tax office spokesman said. There were 300 bricks of high quality cocaine in the container and each had a label with the word “Exito” (“success”) on it, he added. Spanish authorities were trying to figure out the origin of the cocaine, which arrived on September 26 on a boat that departed Costa Rica’s Puerto Moin in the province of Limon. Spain’s close ties with its former colonies in Latin America have made it the main entry point used by drug smugglers to bring cocaine to Europe. 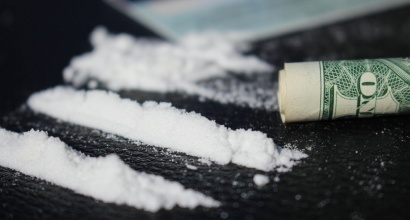 The record amount of cocaine seized in a single year in Spain was set in 2005, when authorities confiscated just under 50 tonnes of the drug. Previous articleCan A Costa Rican Woman Convince The World To Act On Climate Change?